The busier you are, the less focused you'll be on smoking. When you first started out, the third week would have felt like it was a million miles away. Yet here you are, well into your journey from being a smoker to being a quitter. You've come this far, and all that's required from here is more of the same. Keep the faith, and you'll rack up the weeks in no time. You're already doing one hell of a job by getting this far, but there's no harm in getting some helpful advice. 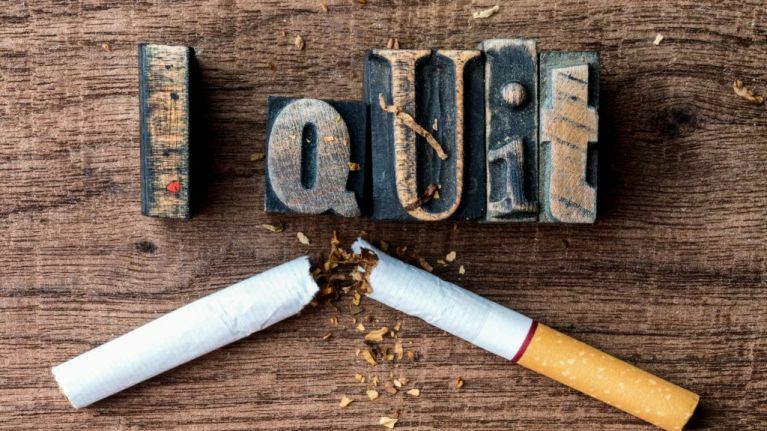 Life coach Raul Aparici is here to help from start to finish, and he has a few pearls of wisdom for those of you taking part in the Quit To Fit challenge. "Three weeks in and you’re winning. But I often hear from clients that one of their biggest issues when quitting smoking is overeating. They become good at quitting but bad at dieting and eventually pick up the habit again so they can lose those extra pounds," Raul said. "A word of caution here: it’s too easy to vilify food and turn eating into a negative and give ourselves a hard time for it. A much healthier approach would be to re-energise our relationship with food. After three weeks of quitting, your taste buds are remembering what it’s like to taste delicious food." Whenever you give up smoking, it's a chance to look at other aspects of your life that you could do with working on. Even if it's just changing your diet, the pros of quitting smoking go far beyond the obvious health benefits. "Let’s positively harness this change and keep our hands busy by taking a cookery class. Beyond that, walk down the supermarket aisles with a newfound sense of amazement at the endless possibilities ahead of you. Strike a conversation at the fish counter, swap produce tips with other shoppers and reach out to people in your life who are good at cooking. "Start a revolution in your eating: it will keep you engaged, healthy and the creative possibilities are endless. Eat local, seasonal products where possible. By becoming actively engaged in the food choices that you make you will feel more in control not just of your food choices, but of your entire life," he said. NiQuitin Clear 21 mg, 14 mg & 7 mg 24 hrs transdermal patches and NiQuitin 1.5mg & 4mg Mini Lozenges are stop smoking aids that contain nicotine but you still require willpower. Always read the label.